“What major shifts, caused by the emergence of Cloud ERP, are currently taking place in the world of Enterprise Software?” In my previous blog post I highlighted some of the key findings of a recent 5-month research I did, in an attempt to answer this question. In this blog I’ll reveal some other findings which were obtained from a survey of almost 200 C-level decision makers within Industrial Manufacturing, Food, CPG and Wholesale Distribution , desk research and 30 in-depth interviews. Considering the quotes from the first blog it can be concluded that “the road to high public Cloud ERP adoption is long and full of stumbling blocks” and that “eventually public Cloud ERP will defeat private Cloud ERP and on-premise ERP”. 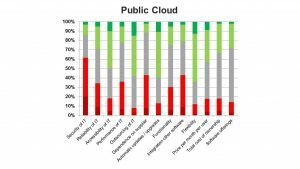 The research shows that the adoption of public Cloud ERP is still very low, which is especially caused by concerns at decision makers. Private Cloud seems to be perceived as an option with the advantages of outsourcing, but with fewer disadvantages and risks than public Cloud. 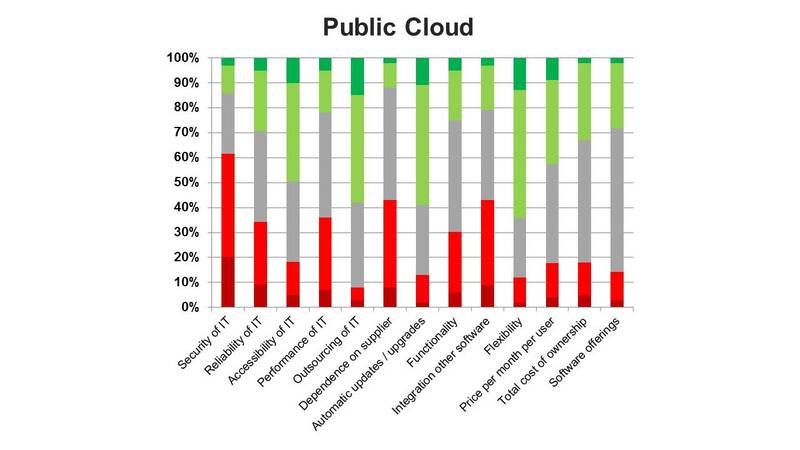 A comparative analysis of private Cloud and public Cloud in the research results provides a remarkable insight. The main concerns of these decision makers at ERP customers seem to be security, integration and customization. Security is seen as a concern since public Cloud ERP leads to dependence on a third party because the IT is being outsourced. Outsourcing may be easier and more efficient, but the company depends on an external party that’s responsible for security, reliability and performance for example. Additionally the fact that the IT environment at public Cloud ERP is being used by multiple companies leads to more worries about security and integration. Customization is considered as another major concern as there are limited customization possibilities at public Cloud ERP and automatic, frequent updates might harm customization. 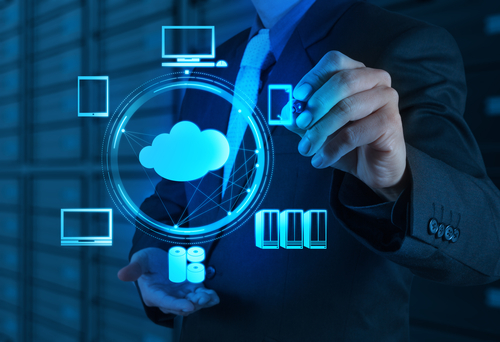 A question that arises is: “Are these concerns justified and will public Cloud eventually defeat private Cloud and on-premise?” Fortunately, Cloud ERP does have many advantages and it’s a good question whether these concerns are all justified. The fact that the software is available through the internet on different devices (‘accessibility’), fast upscaling and downscaling and quick implementations (‘flexibility’) and a price per month per user are just a few examples of Cloud advantages. The general conclusion is that when the functionality and technology of public Cloud ERP become more mature, the adoption of public Cloud ERP will increase. There’s not one single option that is best for all companies: on-premise, private Cloud or public Cloud. It appears to depend completely on the situation at the customer and the supplier. Company characteristics are crucial, especially at this moment. According to the research it’s clear that not all concerns are justified. Would you like to know more about the future expectations of almost 200 decision makers and Cloud experts regarding Cloud ERP? Download Research Summary Cloud ERP 2016 for free and find out. Our colleague, at Cadran, would be happy to talk about the possibilities for your organization.